My friend and long-time WRIR supporter Stacie Birchett recently asked me to put together a dinner music playlist for the Better Housing Coalition (BHC)'s Stay Home RVA "non-event gala." I was happy to do so and to help support the Richmond area's largest nonprofit community development corporation. On today's show, I'm going to play the selections I chose for Stay Home RVA, and I've added on to them as well. Since it's a dinner music playlist, you might describe it as a polite version of Global A Go-Go. 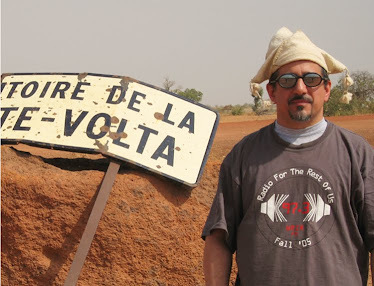 But it ain't background music -- no, it's some of my favorite non-dance tracks from around the world and across the decades, kind of a best of Global A Go-Go in its own right. And since no Global A Go-Go program is complete without some dance tracks, I've added some on to the playlist. 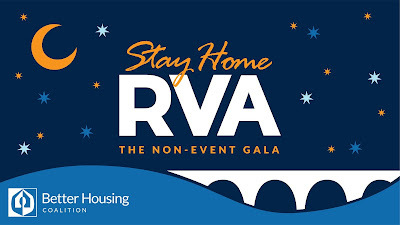 For folks who'll be supporting BHC at Stay Home RVA, you can think of them as a lagniappe, an extra gift, and maybe the way to start the dance party you want to host after your dinner is over.